Can I Play Mhada Lottery Online? Read Reviews! Are you looking for affordable housing in India? If so, you’re in luck. There’s a social opportunity making it possible for low and middle-income families to get the property that they’ve long been wanting to buy. This opportunity is called Mhada lottery, and instead of handing out cash prizes, the lottery makes apartments and other housing options available at really, really, really low prices. The Mhada lotto scheme changes on an annual basis. Keeping track of the latest details via the Mhada official website is essential to make sure you’re capable of applying. If you don’t know where to check, don’t worry. We have put our detective hats on, and we’ve summarized all of the essentials. The Mhada Lottery Scheme has been around since 1948 (under another name and premise). It got quite big by 2012. This was the year when the Maharashtra Housing and Area Development Authority (MHADA) announced an offering of 2,593 apartments in Mumbai and Mira Road. This is a government-initiated scheme, aimed at making housing available to everyone, including less fortunate households. There are certain qualification requirements that applicants have to meet to be included in the drawing. We will talk more about the application requirements later. Ever since then, the Mhada lottery has been offering 1,000 flats or more per year. The lottery also features a shop and commercial property listings at affordable prices. Is Mhada Lottery a Scam and Can You Play It Online? While it’s difficult to believe that actual apartments are being offered below their market price, Mhada Lottery is far from a scam. It is a national initiative approved by the government. The qualification requirements are strict, and you can rest assured that the Mhada housing lotto is anything but a scam. The Maharashtra Housing and Area Development Authority was set up back in 1977. All of the authority’s departments are concerned with making housing available to low and medium-income families. The lottery is a part of the initiative, and so far, it’s proven to be pretty successful. This lottery is a government scheme. Official details are announced for each fiscal year and as soon as the Mhada lottery results become available. To make sure you have come across the official opportunity, visit the MHADA website. It has a link to the lottery and the required application forms. You can play Mhada Lottery online, and we will discuss this opportunity in additional detail. You will first have to wait for the respective annual scheme to be announced. 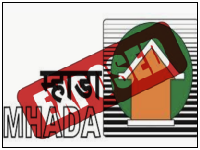 The Mhada lottery 2019 housing scheme is still pending, and the official requirements haven’t been published on the authority’s website. In 2018, there were several criteria for participation. For a start, participants in the Mhada lottery need to be aged at least 18. They should have been residing in Maharashtra for at least 15 years. Also, all applicants have to provide income proof. The report should be for the respective financial year, and it should be based on monthly income. Reimbursement allowances are excluded from the calculation. Very low-income families willing to participate in the lottery should be earning up to 25,000 rupees (economically weaker section). The low-income group is defined as people who earn 25,001 to 50,000 rupees per household per month. The middle-income group consists of people earning 50,001 to 75,000 rupees per month, and high-income families are those making over 75,001 rupees per month. Every applicant can qualify for just one income group. Besides, potential applicants need to have a permanent account number (PAN) to be eligible for affordable housing under the Mhada lottery scheme. In 2019, Mhada will offer properties in various different Mumbai regions. In 2018, the lottery offered slightly over 1,300 flats and properties across the different income groups. In 2019, there will be 1,384 affordable properties available. They will be located within the Mumbai area. The application start and end dates for 2019 have not been announced yet. According to the official announcement, the areas where affordable housing will be made available in 2019 include Borivali, Ghatkopar, Mulund, Goregaon, Wadala, Sion, and Vikhroli. If you are interested, keep track of the MHADA website. It’s best to begin working on the application documents as soon as the annual requirements and offerings become announced. Mhada offers affordable housing within the different income groups. In 2018, for example, there were 283 offerings for the low-income section and approximately 800 units for the economically weaker section. Keep in mind that the competition is incredibly intense because of the affordable possibilities that the lottery makes available. There were over 75,000 applications for the flats made available by the authority in 2018. Because of the intense competition, some people have been turning to extreme measures. One man, for example, filed 83 separate applications in 2018. The person was a government official that targeted the Mhada lottery high-income opportunity. He used his name, as well as those of family members to submit multiple lottery entries. The good news is that the story ends in a positive way. The eager enthusiast was eventually allotted a property in Ghatkopar. You may be wondering why people are going the extra mile to win. The answer is simple – Mhada constructed properties are much more affordable than what the commercial market has to offer. The flats under the most underprivileged category cost less than Rs 20 lakh. For the low-income group, the cost is from Rs 20-35 lakh, for those belonging to the middle-income group – Rs 35-60 lakh and high-income families benefit from apartments from Rs 60 lakh – 5.8 crore. In 2018, the registration deadline was in the middle of June. Hence, you should keep track of the deadlines. If you’re late with your application, you’ll miss on the opportunity to qualify for affordable housing within your income tier. The Mhada Lottery results are usually announced at the end of June or the beginning of July of the respective year. Can You Play Mhada Lottery Online? The Mhada Lottery scheme does come with an online application form. It’s available from the official MHADA website. To participate, you have to visit the website and choose the lottery board under which you’ll be playing (Mumbai or Pune). Next, you will need to do a user registration and provide the details that prove your eligibility for participation in the lottery. Keep in mind that you will have to make an online payment for your documents to be processed. As soon as the payment is completed, your application will become valid. This option is not available outside of India. In addition, you have to be a citizen of the country and Maharashtra to participate. Before doing anything else, you will have to wait for the results to be announced. Check the MHADA website periodically to find out when the winner’s list is going to be made available. The 2018 results, for example, are available here. Next, you will get a chance to buy the property you qualify for. Under the Mhada lottery scheme, you will have to pay stamp duty over and above the cost of the property. Thus, the property price itself is very attractive, but you will still need to deal with taxes. Some experts claim that these taxes are way too high and they come in sharp contradiction with the overall purpose of the lottery. Mhada lottery winners can also qualify for a home loan from the Housing and Urban Development Corporation. In this case, the interest for the subsidy is Rs 2.67 lakh, and repayment has to be completed in 25 years. The interest rate for high-income families is bigger, but it’s still better than commercially-available loans. If you need additional information about winning or buying an MHADA apartment, you can visit a Mitra center at the MHADA East Office. Alternatively, call 9869988000. Would you mind rating Mhada Lottery? Keep both the pros and the cons in mind before you apply for a Mhada lottery property. While affordable housing is worth pursuing, you may need a lot of luck to get a new flat under the MHADA scheme.